Every person in history lives and dies; this is the way of the world. They work, eat, sleep, fall in and out of love; they fight, cry, build, and plant. How many people yearn for the chance to be part of something fantastical? What would you do if given that opportunity to take the reins of one's own destiny? Serenity was professional, courteous, educated, and beautiful but also timid with little in the way of a social life. After a life-altering event unlocked latent myriad lives, she wanted to love as she had in them; to have desires, ambitions, and dreams of faraway places only glimpsed in her walk between worlds. How does that work out when she returns to the most real of her incarnations, where she thinks of herself as boring? Read the next installation of Serenity's fantastical experiences betwixt the ether and the daily grind; the changeling and mundane forms of herself. Join her as she thoroughly pushes herself to enjoy life to fullest, and searches for a happiness as real as any of her many choices before. Would she necessarily want what she finds? Serenity began writing short stories when she was 7 years old. She illustrated these stories as well, even though now she admits she can’t draw. Her parents would buy her extra school notebooks to write her stories in and her favourite place to write was under the carport during a rainstorm. She would sit at the picnic table and write for hours during summer storms. 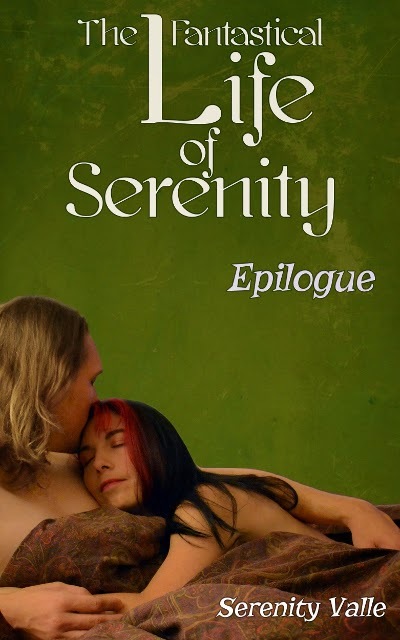 While still in high school, Serenity had nearly finished writing a full length novel. Unfortunately, the notebook fell out of her backpack during her Junior year (she believes on the bus) and was never found. Devastated, she turned from writing and threw herself into drama. For many years she participated in school musicals and community theater. She even had a very small (uncredited) part in the 2001 Tim Burton film “Planet of the Apes”. She did get to meet Burton though and said he was “eccentric but very nice”. She also did some modeling in the past few years and continues to pursue that venue as well. During this time she began writing again for an online RPG game based on the show “La Femme Nikita” (one of her favourite shows of all time). Slowly, she began to have ideas for her own stories again but always found that the middle of the story was missing. She wrote the beginning and left it until her block was defeated. In 2013, Serenity started writing again full force and has recently published her first book, an anthology of short stories. Her second book, a companion novella to her first book which will be available November 19, 2013 and she is currently writing a paranormal mystery romance series. Serenity is the wife of an author. She is mum to 3 boys, currently aged 20, 16 and 2. Serenity graduated from Cerro Coso Community College in 2002 with two Associates Degrees in Social Sciences and Humanities, then went on to graduate in 2005 from the University of California, Santa Cruz with a Bachelors in Psychology and a minor in Latin American/Latino Studies. She is a proud Banana Slug and a proud sister of Sigma Pi Alpha Sorority. In the little free time she has between family and writing, she enjoys gardening, reading, crafting things, henna art, and watching such shows as “Burn Notice”, “Covert Affairs”, “Warehouse 13″, “Law & Order SVU”, “Touch”, “Kitchen Nightmares” and others. Thank you for having me, Jo-Anna! 1. How has your journey in publishing been? Anything you would or wouldn’t do again? I self-published my first book on Kindle and Nook, then on CreateSpace for paperback. 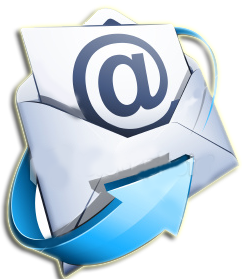 It is relatively easy to do and a great way for an Indie to publish without putting up a lot of money they don’t necessarily have. I will continue to self-publish for now. If I were approached by a publisher, I’d really have to think about it, I love having complete control over my own books! 2. What are you working on right now? Can you tell us about it? My second book is done and will be released on paperback and Kindle on November 19! (Readers can get updates and purchase links by liking my author page on Facebook and/or following me on Twitter) I am currently working on my third book, a paranormal mystery with a smidge of romance. I am about halfway finished with it so I’ve still a ways to go to get it ready to publish. I can tell you that it revolves around a California college student, her best friend / roommate and their spirit friend. They work together to help solve a mystery that occurs on campus. 3. What/Who inspired you to start writing? I actually have no clue! I started writing young; I think it was always in me. 4. How long have you been writing? I began writing short stories when I was seven. I won’t tell you how long ago that was ha ha! 5. What advice would you give a new writer just starting out? Network! Get to know other writers, editors, etc. Many of them are very willing to help with advice! 7. Who is your favorite author? Hmm. I plead the 5th! I have many favourites actually. 8. When did you first consider yourself a writer? 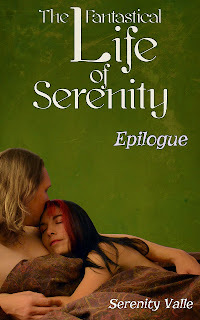 When I started writing The Fantastical Life of Serenity (the short stories), before that it was just something I did occasionally, usually when I was sad. 9. What is the hardest part about writing for you? Stopping myself from going over it “just one more time”. 10. Do you have a favorite character from your books? If so, why and who? That’s a hard one. I don’t love all of my characters, some of them are “the bad guys”, but I love all of my main characters! 11. How many books have you written? Which is your favorite? I’ve written two and am working on a number of others. I am not sure I have a favourite yet, I really like all of them. 12. Do you do research for your books or does it all come from your head? I am a researcher. I write fiction, yes, but I look to be as accurate as possible. I will bring up maps, scour websites, and other things to ensure that my research is right. 13. What is your favorite colour? Indigo. 14. What is your favorite food? Chicken tikka masala and samosas with mint chutney. 15. What is your favorite smell? Vanilla. 16. Do you have any strange habits? I *am* a strange habit! Um, I count my steps in my head. I’ve done it for so long I can pick back up at the right number after talking to someone while walking. I also watch people’s mouths when they talk, this is more out of necessity than just being a strange habit, as I have a ton of scar tissue on my eardrum from ear infections as a child. I have trouble hearing. 17. Where are you from? Do you still live there? If not, what do you miss about it? I was born in Illinois but now live in Virginia. What do I miss about Illinois…my family, the better drivers and St. Louis. 18. Ebook or print? And why? I want to be able to reach as many people as possible. Not everyone has an eReader or eReader app and some just like to have physical books, so I do both. 20. What is one thing your readers would be most surprised to learn about you? Ethnically I am part Calo (Romani-which many may know as “Gypsy”).